The Presidential Nixon $1 Coins have circulating finishes that have never been placed into circulation, minted at the U.S. Mint at Philadelphia and Denver. 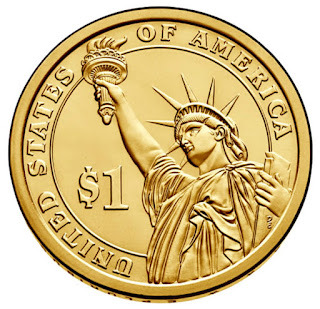 They are available in 25–Coin Rolls, 100–Coin Bags, and 250–Coin Boxes. 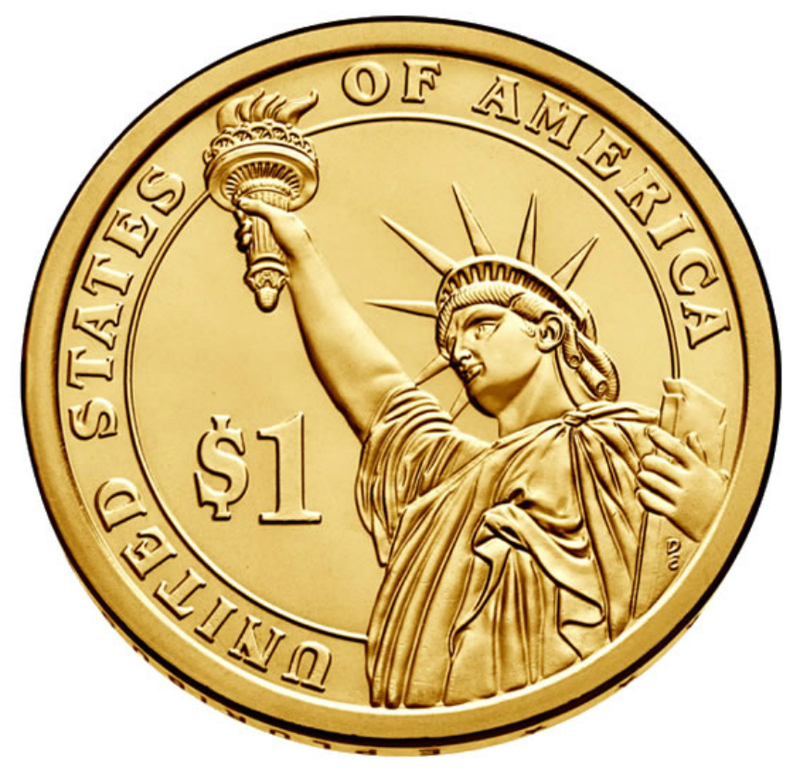 These coins’ designs display large, dramatic artwork and edge–incused inscriptions of the year, “E PLURIBUS UNUM” and the mint mark. 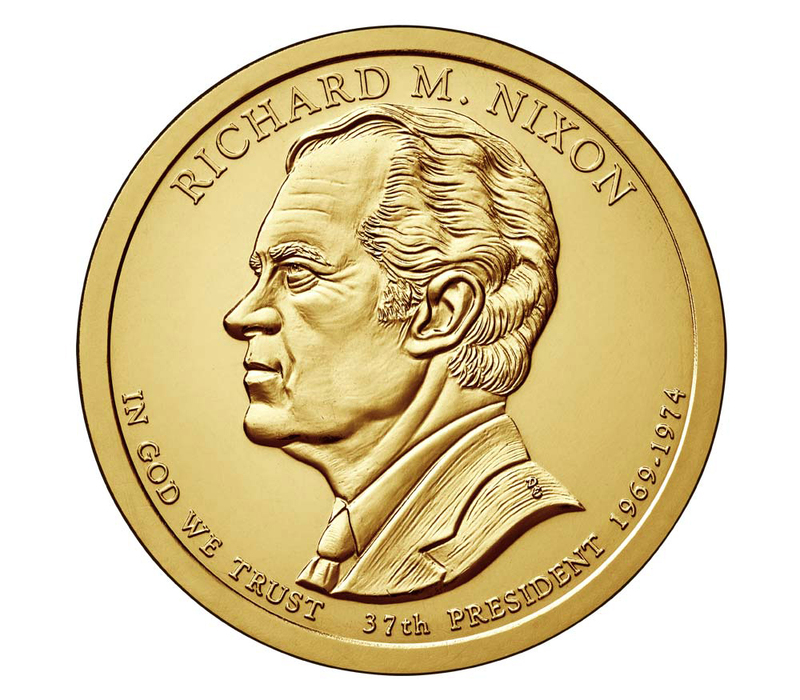 Each coin features a likeness of Nixon on the obverse (heads) and has a reverse (tails) design featuring a striking rendition of the Statue of Liberty. Nixon ended American involvement in the war in Vietnam in 1973 and brought the American POWs home. At the same time, he ended military draft. Nixon's visit to the People's Republic of China in 1972 opened diplomatic relations between the two nations, and he initiated détente and the Anti-Ballistic Missile Treaty with the Soviet Union the same year. His administration generally transferred power from Washington to the states. He imposed wage and price controls for a period of ninety days, enforced desegregation of Southern schools and established the Environmental Protection Agency. Nixon also presided over the Apollo 11 moon landing, which signaled the end of the moon race. He was reelected by one of the largest landslides in U.S. history in 1972, when he defeated George McGovern. The year 1973 saw an Arab oil embargo, gasoline rationing, and a continuing series of revelations about the Watergate scandal, a conspiracy involving "dirty tricks" including illegal surveillance, burglary and bribery which Nixon was revealed to have ordered and attempted to conceal. The scandal escalated, costing Nixon much of his political support, and on August 9, 1974, he resigned in the face of almost certain impeachment and removal from office. After his resignation, he was issued a pardon by his successor, Gerald Ford. In retirement, Nixon's work authoring several books and undertaking of many foreign trips helped to rehabilitate his image. He suffered a debilitating stroke on April 18, 1994, and died four days later at the age of 81. Nixon remains a source of considerable interest among historians, and while praised for his domestic and foreign policy accomplishments, he is historically ranked as among the worst U.S. presidents.